The Festival for British Archaeology is a fortnight long extravaganza of heritage events, celebrating archaeology for all, and encouraging people to get involved in archaeology. It is made up of hundreds of events across the UK. 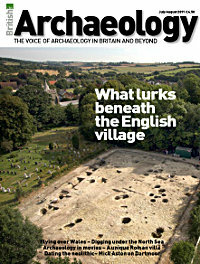 The Festival of British Archaeology grew out of National Archaeology Week in 2009 to reflect the huge growth of the event in recent years, when it moved from a week-long to a fortnight-long event. Find out what took place at events around the UK as part of the Festival 2010. The Festival for British Archaeology is your unique chance to discover and explore the archaeological heritage of the United Kingdom. During this 16 day event, which will run from 16th – 31st July in 2011, you can take part in excavation open days, hands-on activities, family fun days, guided tours, exhibitions, lectures, ancient art and craft workshops and much, much more. Find out what events are happening near you! Put the date in your diary! The aim of this annual event is to encourage everyone, and especially young people and their families to visit sites of archaeological/historical interest or museums, heritage and resource centres, to see archaeology in action and to take part in activities on-site. The Festival for British Archaeology is coordinated by the Council for British Archaeology, an educational charity working throughout the UK to involve people in archaeology and to promote the appreciation and care of the historic environment for the benefit of present and future generations. The CBA brings together those for whom archaeology is an interest, an active pastime or a career. The Festival for British Archaeology originated as National Archaeology Day, first held in 1990 with a total of ten events. Initially it was linked in with European Heritage Days in September of each year, but feedback from participants led to a move to July to make the most of the fieldwork opportunities and to gain maximum publicity. Popularity increased and in 2003 it became a weekend event with 195 events around the country. 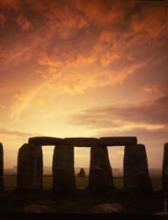 A further increase to 232 events in 2004 led to the first nine-day National Archaeology Week being held in July 2005. The number of organisations taking part in National Archaeology Week and public awareness of the event continued to expand rapidly over the next 3 years, and in 2008, over 470 events were held around the UK, with an estimated 160,000 people taking part. Due to the ongoing success of National Archaeology Week and as a response to positive feedback from both event organisers and members of the public, the event was expanded still further in 2009, to a fortnight long event, and with the new fortnight came the introduction of the new name Festival of British Archaeology. By expanding the number of days the event is held over, event organisers have a greater choice of when to hold events and members of the public have the opportunity to attend a greater number of events. The expanded, newly named Festival is a great success, with 650 events held during the fortnight in 2009, 760 events in 2010, and over 160,000 participants attending events annually.